What was your light bulb moment in terms of understanding the importance of supporting other women in the entertainment business? Jenni Blong & Claudia Maittlen-Harris: We both feel that as a working actress and comedian, supporting other women was just morally right. CM: Coming from a comedy background, which is so heavily male-dominated and controlled, sticking together with other women was just something I did. Working with other women has always made sense to me and I’ve felt compelled to do. I wouldn’t say there was a light bulb moment, more just an awareness in this town. Why is it important you? JB & CM: Because the stories we tell on film and television are what the next generation see as possible. Seeing a world where less than 25% of women are writing/creating the stories isn’t reality. It’s not what we want to raise our daughters to believe. As much as we want more, we want future generations of women to have more. You both attended our iWe Summit last year and came up with the germ of an idea at the Summit that you then ran with. Tell us about WeForShe and how it was created? JB & CM: WeForShe is comprised of Katy McCaffrey, AnnaLea Arnold, Claudia Maittlen-Harris, and Jenni Blong – four women from varied backgrounds in the entertainment industry but a shared passion to better the landscape for women. WeForShe is a media advocacy group created to improve female representation both in front and behind the camera. We strive to find practical ways to bring about a gender-balanced landscape in television through actionable initiatives. 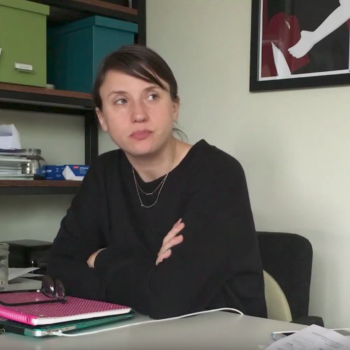 These initiatives are the WriteHer List which brings top quality, industry-vetted, female-driven content written by women to the forefront of development, and the DirectHer Program, which aims to facilitate more women directing episodic television. Please join us in creating change for women and check out our website www.weforshe.org or follow us at @We4She. What is the WriteHer List? Submissions are now being accepted for the WriteHer List 2016! What is the DirectorHer Program? JB & CM: First female writers can create content (pilots) and find a nominator (industry nominee ie. an exec, showrunner, producer, director) for our 2016 WriteHer List. 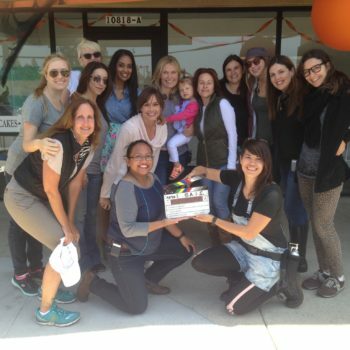 As for women working in television they can help nominate female directors for the DirectHer Program – an ongoing program – and most importantly HIRE WOMEN! What is your ultimate mission as an organization? JB & CM: To increase the percentage of women working in Hollywood behind and in front of the camera. How have you been personally affected [by] gender imbalance in our industry? JB & CM: Do you have all day? What do you think women do to hurt themselves? JB & CM: We think sometimes women feel the need to compete with other women rather than embrace women and work to change the system. We also think it hurts women when other women say they aren’t feminists yet believe in equality, which is contradictory. And finally women in power who don’t help other women hurts us all. We live for the day they call Hollywood a girls club. What can women do to help themselves? JB & CM: Support other women. Create work for themselves. Create work for other women. Hire other women. Open the door for other women. Why do you think gender balance is in the zeitgeist right now in a way it hasn’t been in the past? JB & CM: We think women have been fighting for equality for decades, but with the rise of social media, women’s opinions, work, etc. has a much wider scope and reach. We don’t believe we’re in a zeitgeist moment, rather it’s more of a critical mass. Each generation is going to push for more – rightfully so.